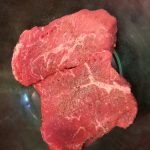 Salt and pepper both sides of steaks to taste, then place all steaks in a bowl. Mix together remaining ingredients and pour over steaks. Marinade for at least 1 hour. 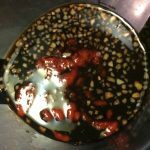 The longer it marinades the better it will taste. 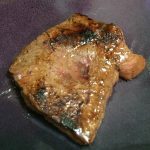 Cook steaks in a skillet on medium heat. 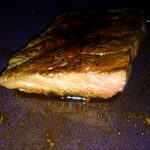 For medium rare about 5 minutes one side, flip and three minutes on the second. Times will vary based on how well you want it cooked, and how thick the cuts are. I’ve always liked steak, especially with A1 thick n hearty steak sauce. 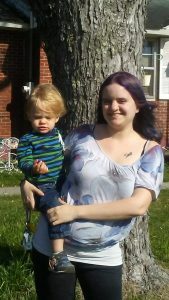 Its also one of my husbands favorite meals, and even my picky toddler will eat it with no problem. This is a super easy recipe that I can put together in a few minutes and cook in just another few. 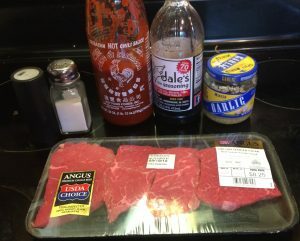 To start, you need 2-4 of your favorite cut of steak, salt, pepper, Sriracha, Dales, and minced garlic. Sprinkle a little salt and pepper on both sides of the steaks. 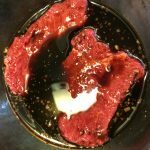 Mix other ingredients into a measuring cup and pour over the steaks. Marinade for at least an hour, but the longer the better. 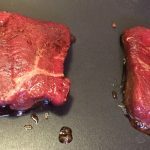 Cook steaks in a skillet over medium heat. 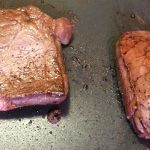 We like ours medium rare, so for these steaks which were about 3/4 in thick, I cooked them for 5 minutes, then flipped them and cooked the other side for 3 minutes. Cooking times will vary based on thickness sand how done you like your steaks. The best test I know of to check for doneness, is by feel. If you put your thumb and index finger together, and poke the pad right under your thumb, that feel would be about medium rare. With your thumb and middle finger together, thats medium. Thumb and ring finger is medium well, and thumb and pinky is well. Rare would be with your hand open.